Brothers carpet has been in business since July 1994, but overall with 26 years of experience, we are a family owned and operated business that takes a lot of pride in the work we do. We are very knowledgeable in every field of the textile business, and strive to do the best job possible. We take pride in having loyal customers, seeing their children go from kindergarten to college to marriage. We have a powerful Truck-mount system, we minimize moisture and optimize water removal. 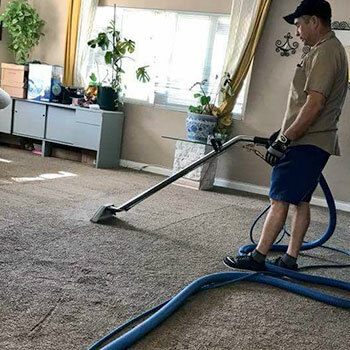 Once we arrive we first do an inspection of the fiber to determine which cleaning agent is needed(each carpet fiber needs a different cleaning agent), check for any repairs that need attention. We pre-spot, pre-condition, deodorize, neutralize, and groom carpet, we clean the carpets as if we were paying for the cleaning, no job is too small or large.We leave carpets with no residue. We remove all types of odors from the carpets, subfloor, and surrounding areas, such as animal/human urine, smoke or cooking smells, musty smells. We also clean tile and grout, and any natural stone.